Labcold are pleased to announce that we have been granted ISO 17025:2005 accreditation as a UKAS Temperature Calibration Laboratory (Laboratory Number 8898). 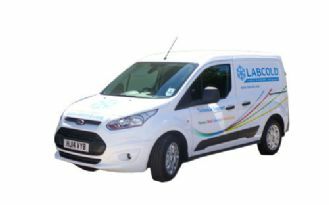 This means that Labcold will be able to provide UKAS accredited calibration services for refrigeration products. We have been working hard to make sure the service we provide to our customers is top quality, and accreditation means we can now take this even further. Our engineers are fully competency trained and tested to deliver the service, and we are always on hand to answer any questions at [email protected]. We hope that this will be a positive step forward for both Labcold and our customers! The United Kingdom Accreditation Service is the sole national accreditation body recognised by the government to assess organisations that provide certification, testing, inspection and calibration services. Accreditation is a formal, third party recognition of competence to perform specific tasks. It provides a means to identify a proven, competent evaluator so that the selection of a laboratory, inspection or certification body is an informed choice. UKAS accreditation means Labcold can demonstrate to its customer that it has been successful at meeting the requirements of international accreditation standards. Accreditation by UKAS means that Labcold has been assessed against internationally recognised standards to demonstrate competence, impartiality and performance capability.